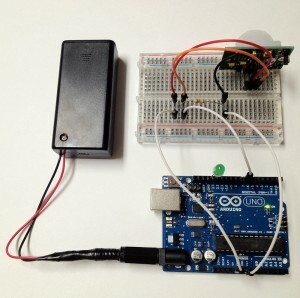 As I have been traveling through Getting Started with Arduino I’ve been trying to take on the “tinkering” mentality described in chapter two titled, “The Arduino Way“. And as the text in the book states, “You should now experiment by looking at all the possible devices that have two contacts that close.” So I made a purposeful visit to Radio Shack to look for parts to hook up to it. 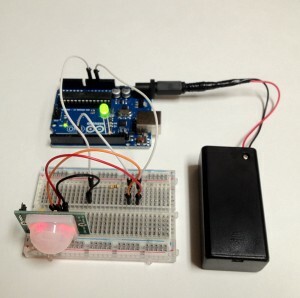 What I came up with was a Parallax PIR Sensor. A top down view of the Arduino Motion Detector. The arduino, battery pack and a PIR motion sensor hooked up to a breadboard. The package didn’t include documentation for the sensor, but I was able to locate it on their website. 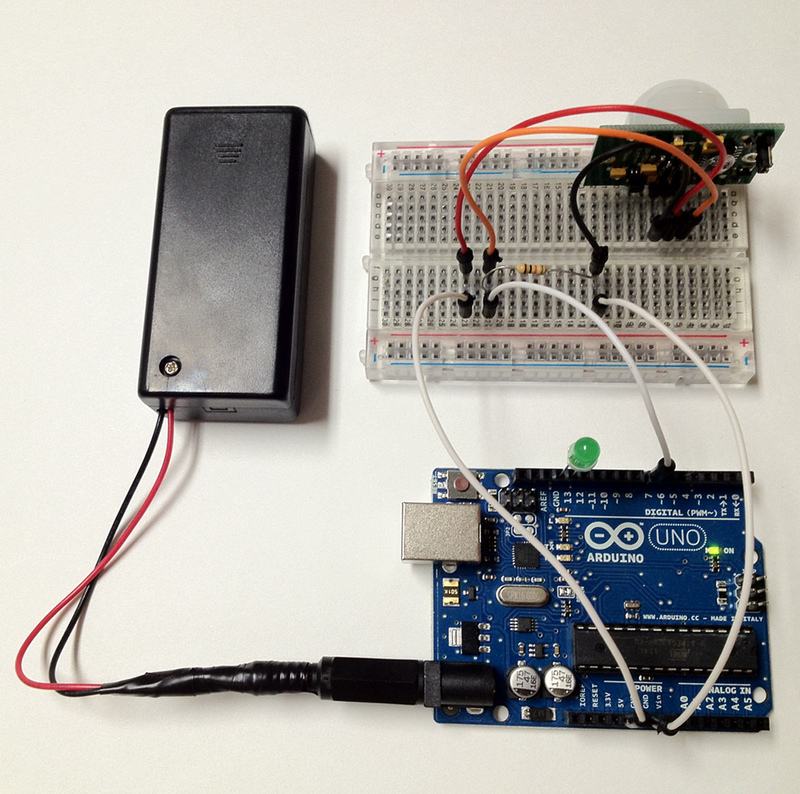 This gave me enough confidence to try and hook it up… particularly after deciding to modify the “Using a Pushbutton to Control the LED” example and corresponding code from the Getting Started with Arduino book. The result was a little motion detector, that turned the LED on while it detected motion, and then turned off shortly after the motion stopped. The sky is the limit I suppose (or time and money, right?). The next stop for me seems to be to hook up the Raspberry Pi to the Arduino in some manner.